The day job means that I fly around the Highlands and Islands a fair bit (and further afield as well of course) and I do like to take the camera with me. 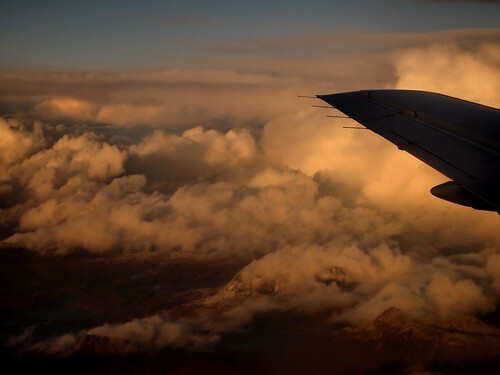 Loganair’s Saab 340 aircraft are quick and fly at the height that means that you get a great view across Scotland. Of course clouds, rain and other weather can get in the way of a decent shot, as can the turbine wash from the engines. Right at the front, or right at the back is the best location for snaps.